Last jam session of the year at 7pm at the Leadway Bar & Grill (523 N. Damen). 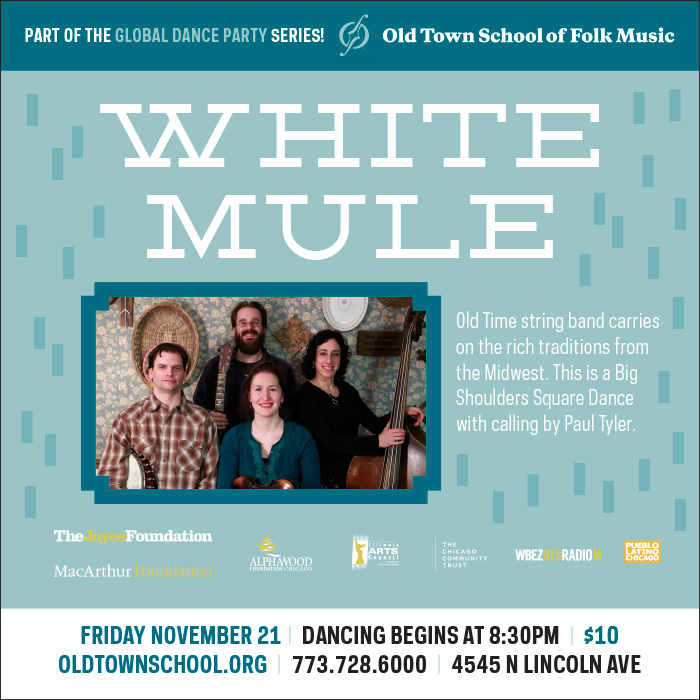 Friday, November 21 Big Shoulders Square Dance with White Mule. 8:30 Global Dance Party at the Old Town School of Folk Music (4545 N. Lincoln). Hot fiddling by Genevieve Harrison Koester. Solid old-time backup by Smith Koester, Andy Gribble and Abby Ladin. Callin by Paul Tyler. Dancing by y’all. No experience necessary. 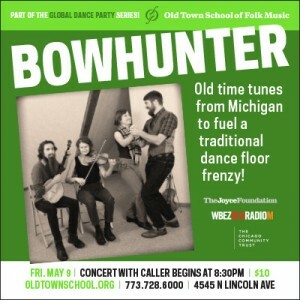 Music by Bowhunter, a band of young’ns from Kalamazoo and Lansing. They’re millennials, and they’re good. He guarantees a good time for all, even for those who’ve never square danced before. Click here for more info or to reserve your spot. We’ll play a few English ceilidh (pronounced ‘kaylee’) tunes, which will be posted soon. And we’ll try them out with a couple of easy dances. Invite your friends and family to come along and dance. No admission fee. No registration required. The story thus far. Long ago in a galaxy far away I started playing the fiddle and calling square dances, because I thought that was the most fun a group of people could have. 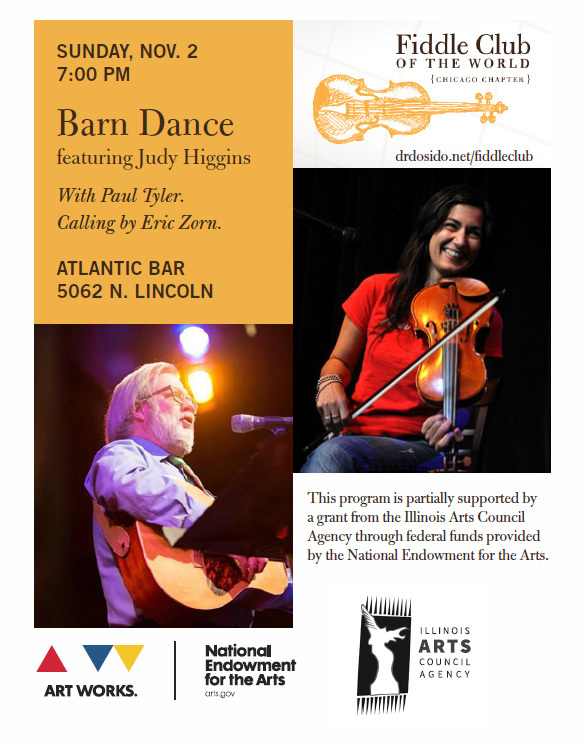 Way back then, I had the glimmer of notion that the American square dance was just one type of set dance among many. 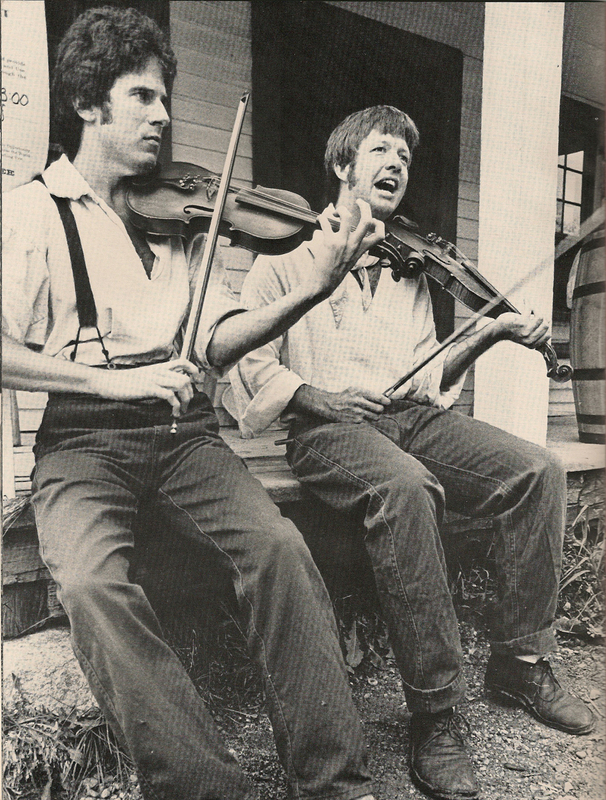 Even then I knew the fiddle was the universal instrument. But over the next thirty years, I concentrated on playing for and calling American square dances, in part, because they were easy for folks to learn, and required only a walking step. No aspiring dancer had to learn to do anything special with his or her feet. 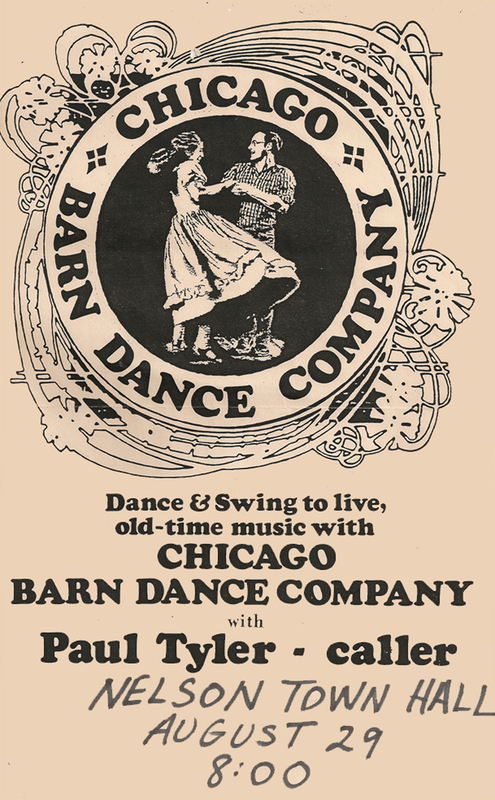 But in the meantime, in merry old England, a set dance revival was growing that attracted thousands of people young and old, and several dozen high energy dance bands to a scene called Barn Dancing. In the last ten years it’s also become known as Ceilidh dancing, borrowing a term for similar explosion of old time dancing in Scotland. The dances are for sets of 4 to 6 couples, or for lines for “as many as will,” or for circles made up of couples or groups of 3. 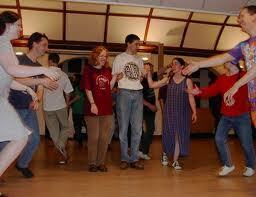 The dances are all easy to learn and great fun to do. 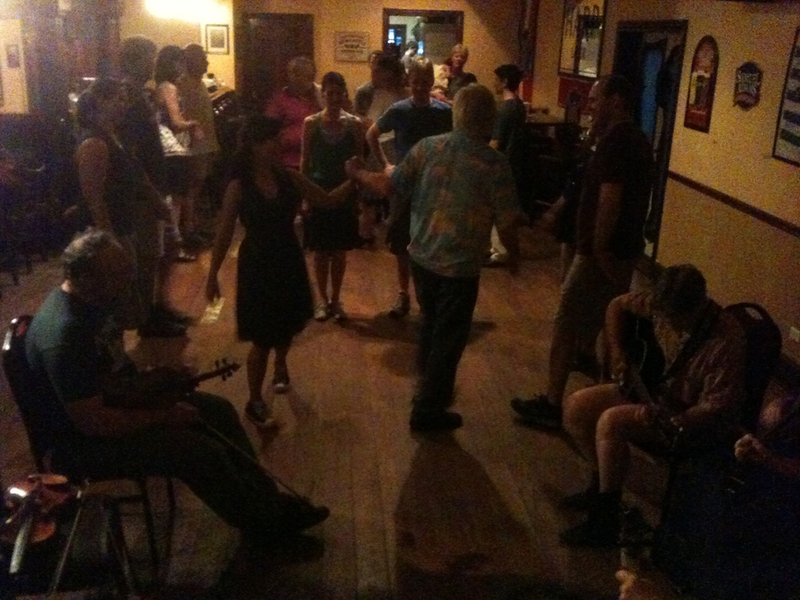 And part of what makes English Ceilidhs such big fun, is that the dancers use a few special steps that bring them to a closer connection with the music. These steps are the setting step (for reels), the rant step, and the polka. We’re going to try them out at the next meeting. Here’s some tunes. My current favorite reel is Beatrice Hill’s 3-Hand Reel. Click the title for a slow version I posted on the Old Town School’s Flog, and click this link for the notes. If you want to get inspired, listen to this live version from the Old Swan Band, the top-of-the-heap band for English ceilidh. Another great, and easy, English reel that has been played in Old Town fiddle classes is Albert Farmer’s Bonfire Tune. And for the right feel for an English reel, take a look at this video of the Old Swan Band playing “Speed the Plough”. For the last figure each time through, the dancers do a simple polka step (and-a|1 & 2 and-a|1 & 2). -hop (1 & 2 &|1 & 2 &). At an English Ceilidh, reels and polkas dance alike, as seen in this video of the Old Swan Band playing a couple of well-known polkas learned from Walter Bulwer of East Anglia. Check back in a day or two for part 2 of this post. I’ll provide some sounds and video for the reel setting step and the rant step. 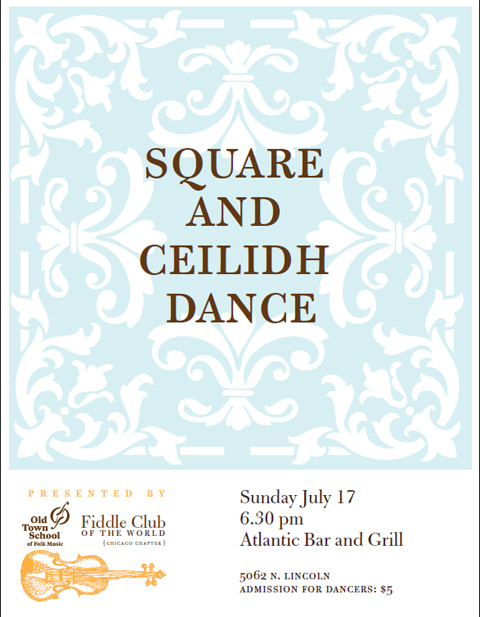 The first Fiddle Club of the World Square & Ceilidh Dance was a roaring success, with about two dozen dancers in attendance at the Atlantic Bar & Grill. The back room was surprisingly cool on such a hot night. 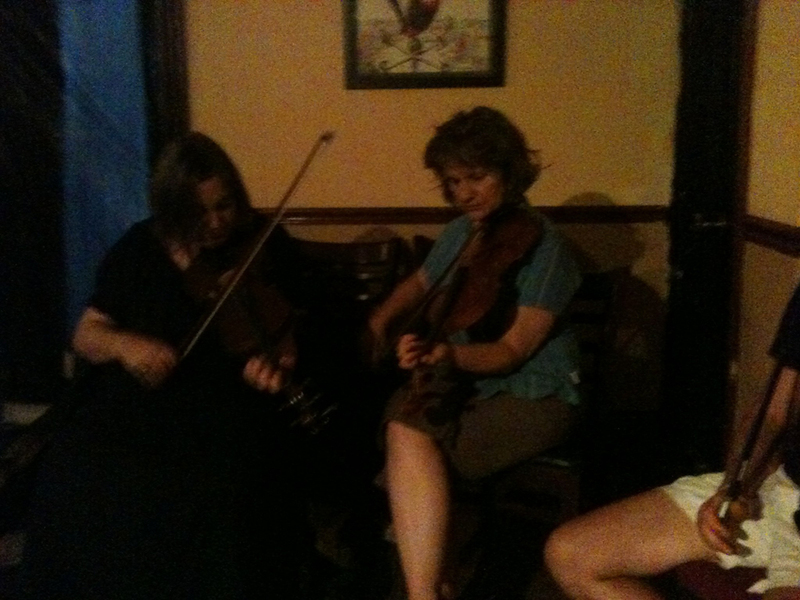 Music was supplied by a rehearsed Ceilidh Band of 4 fiddlers, 3 guitarists, a harmonica player and a jaranero. 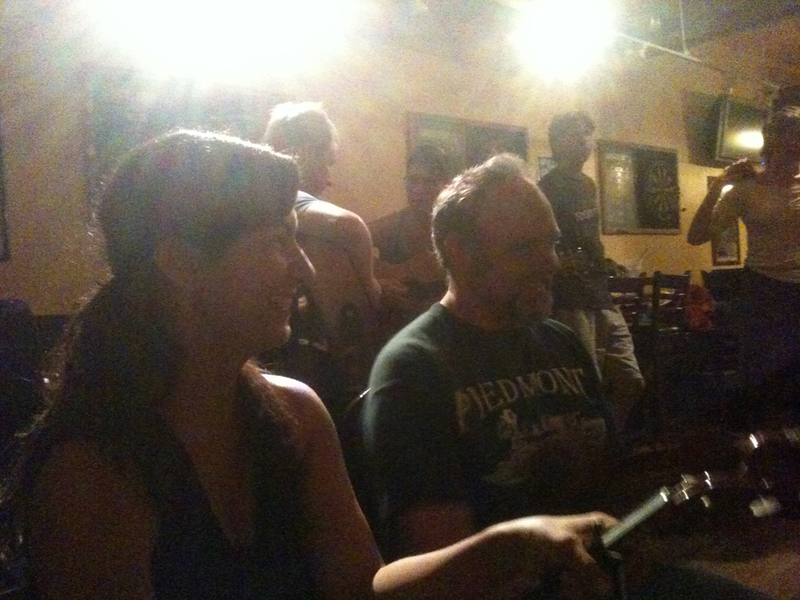 Two other fiddle players sat in and learned the tunes on the spot (for the most part). Squares: Chase the Rabbit, Star for Three, & a big circle square from the Deep South. Ceilidhs: Cumberland Reel, Tacco e Punta, Gay Gordons, & Dashing White Sergeant. Thanks to Jason McInnes for the photos. There are also a couple of videos on the Fiddle Club of the World Facebook page. 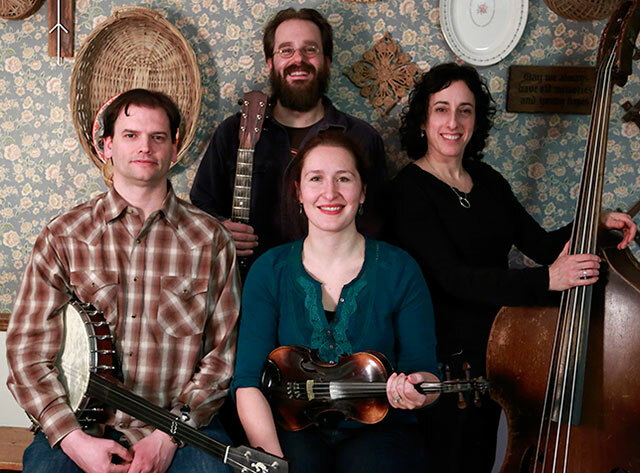 Plans are afoot to coordinate the First Friday Square Dances with Fiddle Club. That means our next dance will be Friday, September 2, from 7 to 9:30 at the Old Town School. We’ll also schedule one for the December meeting at the Atlantic. Our square and ceilidh dance is tonight. 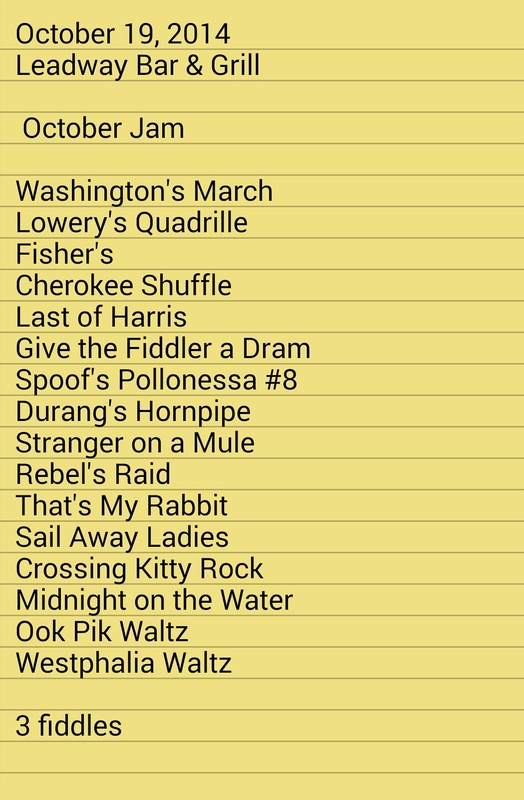 Fiddle Club members who want to run through some of the tunes once more should show up about 5 or 5:30. Many of the tunes we’ll play can be found here or here. Or click the blue links in the lists below. All dances will be taught. All are easy to learn and fun to do. Besides some old-time squares we’ll do set or group dances like Cumberland Reel, La Cardeuse, Dashing White Sergeant, Heel-and-Toe Polka and Gay Gordson; plus couple dances including Seven Step, Raatikko and the schottische.